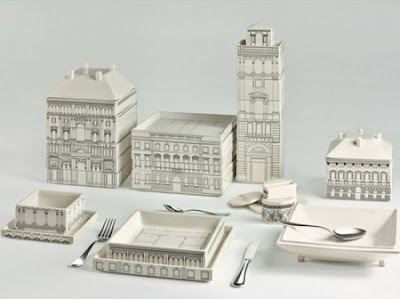 Selab and Alessandro Zambelli design for Sleletti amazing dinning set where each set of plates and dishes is a ceramic replica of italian palace. 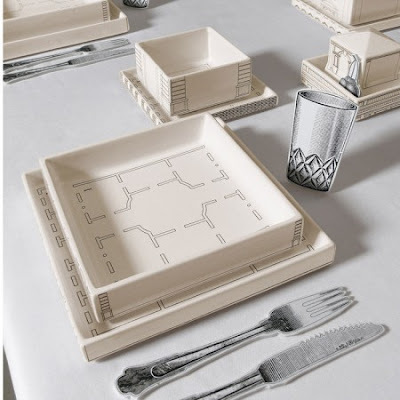 They look grate as a ceramic building standing next to each other and as a setting for a dinner. Those place definitely can't be hide in the cupboard.